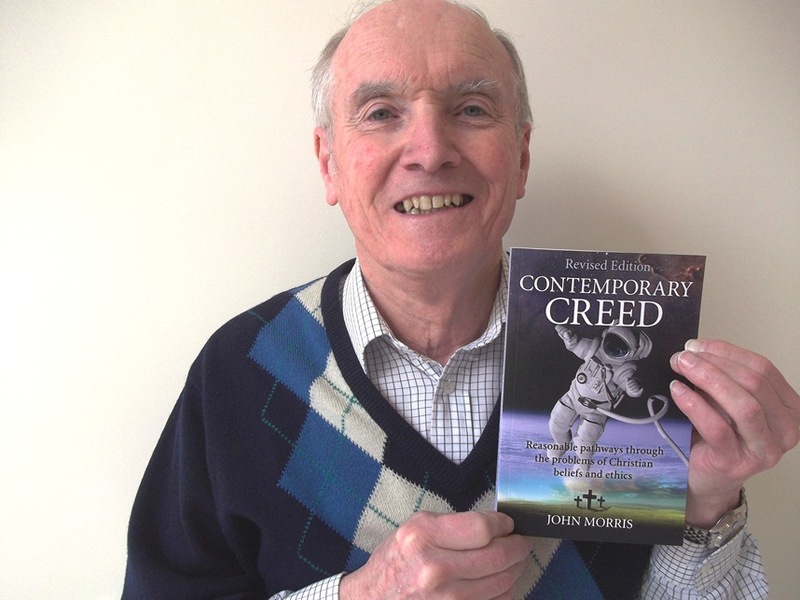 Unlike Richard Dawkins, Contemporary Creed (revised edition) sees no conflict between evolution and God, faith and modern science. But what sort of God creates a violent universe with a Big Bang almost 14 billion years ago and appears to do little or nothing to prevent built-in suffering & natural disasters like earthquakes, famines, disabled children and cancers? The Christian God leaves a lot unexplained. Some writers give superficial answers whereas Morris, who helps care for his own handicapped grandson, gets to the root of difficulties and succeeds in finding credible pathways through sixty problems of Christian beliefs and ethics. He writes for believers and unbelievers: for Christians like himself who admit their doubts, and for atheists and agnostics interested in big questions. His unusual format of 90% prose and 10% original poetry is entertaining, and the style straightforward everyday language, offering conclusions that are often open-ended, undogmatic. His systematic theology becomes a brief A-Z that may be read in any order for individual Bible study, or by house groups that want a provocative structure for lively discussion. : Contemporary Creed translates ancient beliefs into today’s language. It is written for those who, like the author, do not find it easy to believe and whose faith is married to doubt, but he points an intelligent pathway through sixty intellectual problems of traditional Christian beliefs. A library of theology books is compressed into this novel and popular mini-course on modern Christianity, in transparent English, without jargon. Original verse helps animates old truths and solve their difficulties. All rights reserved. Except for brief quotations in critical articles or reviews, no part of this book may be reproduced in any manner without prior written permission from the publishers. The rights of John Morris as author have been asserted in accordance with the Copyright, Designs and Patents Act 1988. 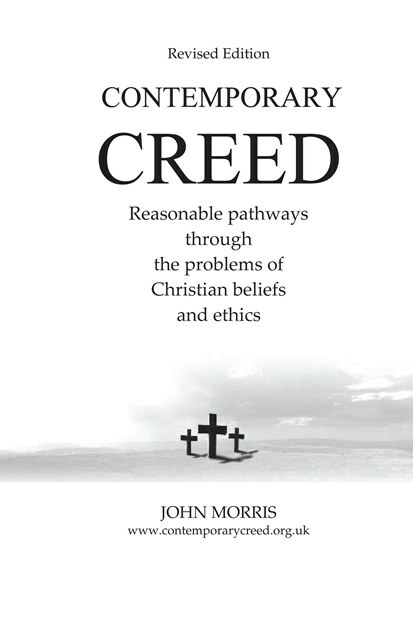 AUTHOR: John Morris, MA, M.Ed, PGCE, PhD, was a teacher and lecturer for over thirty years before being ordained as an unpaid Anglican clergyman in 1995. My problem with most books on God by believers is that they treat theology as though it were a science. It's not - and John Morris doesn't try to pretend that it is . Most refreshing! John Humphrys, BBC 'Today', 'Mastermind', In God We Doubt. John Morris addresses many significant questions about Christina belief in a careful and truth-seeking manner. His book should be helpful to many enquirers. Revd Dr John Polkinghorne, KBE, FRS, physicist, theologiam, author. In this admirable and cogently-written book, John Morris explains how he sustains a life-changing faith while being fully mindful of all the intellectual challenges and preplexities this entails. Even those of us who cannot share his beliefs will be stimulated by his arguments and enlightened by his perspective. Lord (Martin) Rees, OM, Kt, FRS, Astronomer Royal, author. A brilliant, honest, contemporary restatement of orthodox Christianity. It tackles 60 of the toughest objections to Christian faith with deep thoughtfulness, in well-organised topics and clear prose. His 100-word creed is a masterpiece, his poems a joy, and his profound handling of difficult issues will help many, atheists and believers alike. Canon Dr Michael Green, theologian, university speaker worldwide, author.